by Dave from The Longest Way Home ~ July 30th, 2012. Updated on November 12th, 2012. 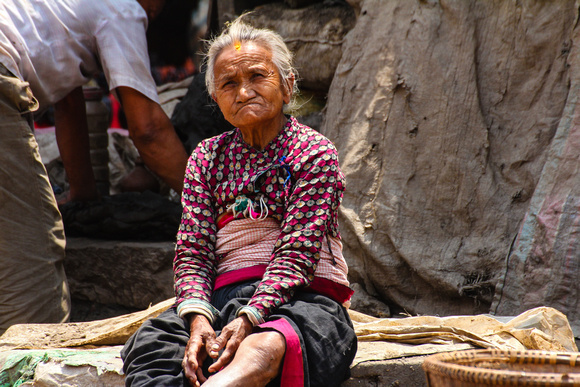 Published in: Travel blog » Long-term travel. Should you create a long term travel blog? I knew before I went on this journey that I wanted to record as much of it as possible. Keep in mind this was before blogging had taken off and was as easy to set up as it is today. I kept a hand written diary and emailed myself notes at the start. I wrote before about the importance of documenting your experiences in life with a journal. However there were a couple of problems with all this in term’s of long-term travel and keeping a record of ones travels. A few included: what to record, how much of a record to keep, where to keep it safe and how to access it again if need be. Even if you have no interest in keeping a public travel blog but are going long-term traveling, living abroad or simply want to record a part of your life publicly or privately I think what you are about to read will prove helpful. In case you have any doubts as to why you should be writing things down it’s because you won’t remember everything. Dates, places, times, people, weather and personal feelings. They all change constantly. And while recording everything is overkill, keeping a basic set of records can prove invaluable for many reasons. What was Europe like in the winter? What was the name of that great cafe in New Delhi? Where was that place in Mexico city that people recommend you stay? What was the name of that really nice person you met over lunch in Moscow? 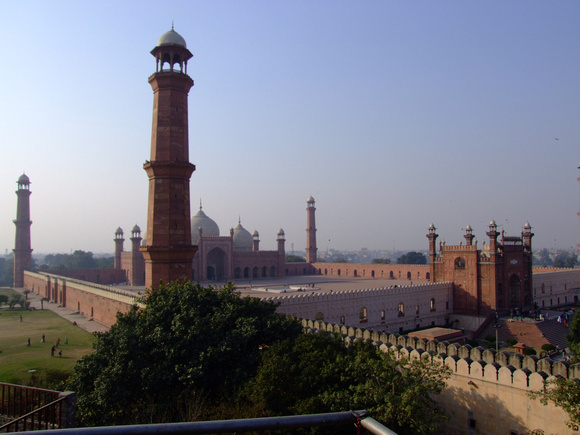 Badshahi Mosque Pakistan: I sat on a small rooftop cafe looking down on this beautiful mosque in Lahore while snake charmers on the street below worked the crowds. I ate a not so good Chicken Jalfrezi (Peshawar has better) but washed it all away with nice pomegranate juice. I recorded everything in a little notebook. I still have it, but just in case it’s online too. These are all things that can slip away with time unless you write them down. I still have a notebook and it’s invaluable. I still write in it when I sit in a cafe for lunch. Back in 2005 I filled up many of them. And, I found myself carrying too many. Moreover I became worried about losing them. The data and memories inside were irreplaceable. Handwriting onto paper is a great feeling. And if you go on multi-year trips or short journeys it’s very easy. But what if you’ve been on the road for 2 + years? Yes you can mail notebooks to a friend for storage. But what about reading them whenever you want? The beauty of an online blog is that you can make it that it’s completely private or publish everything: the choice is yours. Online blogs either private or public are also searchable. Meaning if you are trying to recall something you just type into it what you are looking for and there it is a second later. You can have countless backups so you’ll never lose a memory again. 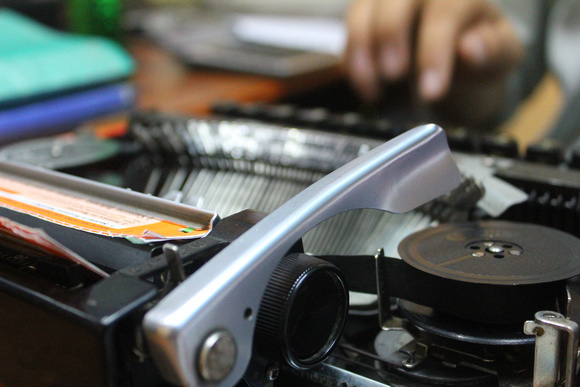 Is it as romantic, easy or enjoyable as writing in paper format? Maybe not. But with iPads, tablets and wi-fi it’s getting easier. Perhaps if you could hand-write on a kindles e-ink it would be the next best thing as written journal? I’m not going to get into the whole make a living with your travel blog thing here. What I mean to cover is that if you do want to publish your travels to the world then go for it. If not then you can keep them private or share the posts with only a few people and not the whole world. The benefits of going public are a mixed bag. The biggest one is sharing your experiences with others and thereby often helping people with their own journeys. That’s perhaps the biggest reason my long-term travel blog went public and I began this site. Other prime reasons included having a place to hang my photos and cherish memories. Remember when long-term traveling you no longer have a home to display things(unless you are an RV or the like) so having a blog or website with your favorite photos or places is often a good way to recall your memories. Much like having a physical living room but online. Public or private a travel blog can be your home away from home. With having a public long-term travel blog you can express yourself to the world on your feelings about topics you have found a passion for. While you can always talk to people you meet, or locals, putting it all down in digital ink will let others read your thoughts more closely and perhaps offer up their own thoughts/solutions. Writing about it publicly in a travel blog can get you feedback that you might not otherwise get. Or simply reading over it yourself privately a few months later will offer up something you didn’t see before. Bundling all your emotions and passions up is never a good idea (do check out this article on mental preparation for long-term travel). With long-term travel sometimes you might start to question yourself on certain things. Getting other people’s opinions and help through comments on your blog or emails can help a lot or indeed spark new ideas! 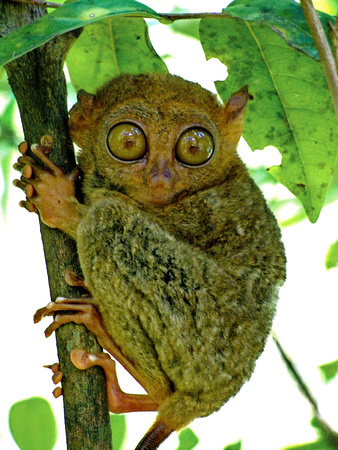 I visited the Tarsiers in Bohol, The Philippines: I got so annoyed at Filipino’s, The Philippine government & WWF I wrote about it on my travel blog before taking action. Readers who saw this joined in and we managed to get some positive results in trying to protect this endangered creature. You can read more about what happened to the Tarsier here. Writing everything down can often become a bit of chore at some stage or simply impractical. Other ways to record you journey can include using video or audio. Video & Audio: I’ve done both and they certainly make an impact. For me the process of using video to record your thoughts and feelings can really open ones eyes to your own ways and means. Audio less so as editing it can be time consuming unless one is good with things like dictation. But for quick notes it can be very good when pen and paper are not around. Social Media: Using social media to record a journey is not something I would advocate. Certainly as a supplement it can work. But in terms of actually recording a journey, notes, feelings etc it’s not that practical. While things like Facebook’s timeline look like they might do the trick it certainly doesn’t offer as many options as an online-blog. Google+ would be more practical but again it’s not purposely built to record like a travel blog can. Photographs: Another little spoken about medium to record a journey is to take photographs. Again I really believe this works best as a supplement to the written word. While it’s great to take a photo of a temple in Cambodia without a sign somewhere twenty temples later and they all begin to look the same. Using things like GPS location recording and EXIF data can help a lot with recording where you were at certain dates. One trick I use is to photograph signs, displays or brochures whenever I visit a location. It’s a great way to capture written words, details, history and break photo timelines up into identifiable blocks. Offline: Finally there’s the offline text editor like Microsoft word or open office. Both are very useful for when you have no internet connection. There are also free applications like Windows live writer that can link to things like a WordPress blog so you can auto save (back up) when you do have a connection. I’ve done a lot of offline writing, it simply works. The biggest issue is to remember to back it up somewhere. USB drives, external drives etc. And then when online back it up to a blog or elsewhere. 1) You can join a network of travel blogs on sites like Travellerspoint.com or Travelpod.com for free. Or you could simply join wordpress.com or blogger.com and build a hosted blog for free there. Pros: The above offers support, security and many other bonuses like forums, communities and advice. Cons: The downside is that many blog networks offer limited templates and may not offer a lot of additional options. 2) For the more independence you could buy your own domain name for $10-15 and host it for free or pay upwards of $5 per month for hosting. Pros: Here you have total control over the look of your website and the software that runs it. Popular blogging software includes WordPress.org, blogger, typepad etc. The positive thing is that with some basic technical knowledge you can do just about anything on your site. Cons: The downside is that the more you want to do, the more you’ll need to learn and spend time online doing it rather than traveling or writing. Will you be able to remember everything later in life? There’s a lot about this already online. Do you remember those long drawn out websites promising to help you make $25,000 a month working from home? Or the ebook that promises to tell you the secrets to online success? Well, reading most of those how to make money travel blogging articles is much the same. Reality: Everyone likes the idea that you can earn money by writing about your travels. It’s a romantic notion thwarted by an overcrowded, market savvy and socially aware business genre today. It’s a business to many: Today there are cash heavy inter-related media bloggers, photographers, literary types and travel companies vying for marketing prowess. Unless you can compete with them forget it in terms of hitting it big by just blogging about your long term travels (though luck could play a part). Career vs Journal: I would not voyage out into the world thinking your “travel blog” is going to support you financially by you writing about your daily outings. As fascinating as they might be. If you are looking for it to do this then you should be approaching it as a career change. And this is not what this article is about. At best for recording your journey at leisure a long term travel blog alone will eventually pay for itself. In other words it can be a small revenue stream that will cover its own hosting with a few coffee stops along the way. Objective: Again, this article is not about how to make money, nor how to use a travel blog as a new career pad launcher. It’s about why you should create a travel blog for recording your long term journey. If you want to build a travel-blog to make money or a career then that’s another subject. If you decide to accept the idea that keeping your long term travels recorded and invest in keeping them safe via a travel blog then you’ve taken the first step. If all you are doing is recording your thoughts, daily activities, notes or emotions try and not get caught up in worrying about spelling, grammar, layout and photos. Just get your thoughts down on digital ink first and foremost. Get it right from the start: Yes making things look nice is important. But recording it all is more so. It’s very easy to get caught up in the look of your travel blog, social media icons, photo alignment etc. Before you set off on your journey choose a design you like and stick with it. Stay on course: If it’s public and people start to read, leave comments, share to others then it’s very easy to get distracted with design, better hosting, nicer photos which can quickly lead to analytics, how many people tweeted me and how popular am I. All of this can easily distract from actually recording your journey. I generally go by recording things first, making sure it’s safe(backed up) and then begin to think about publishing it all. Write down your thoughts and experiences first. Make sure you back up your blog’s database. Make it pretty later. Creating a long term travel blog is like writing a diary or live view book on your life. Private or public it can be a resource to you or others. It can be a place to vent your frustrations. It can be a way of supplementing your earnings or launching a career. It can be an amazing read for everyone from strangers, your relatives, to future generations and even yourself. Don’t miss out on this key aspect of long-term travel or living abroad! Looking for a place to keep your travel photographs safe? I’ve used Zenfolio for my travel photographs displayed here for years and have recommended them to many others. ” BDV-TGN-A7X ” when signing up to Zenfolio. For each person that uses the code I earn a small commission which goes directly into paying for my own photo hosting that you see on this website! Great article, Dave! I love looking back at my blog from my RTW trip in 2004-2005. Now that I’m back on the road with my husband, we’ve decided to revive one of my old travel blogs I’d stopped updating. It’s a great way for friends and family to keep up with us, and an easy place to record everything we’re doing. Yep, if your aim is to have others read your work then sloppy writing is not the way to go. But what happens if you are stuck for time after a long day out and about? Sleep vs writing it down in a rush? I’d be inclined to write as much as possible down just to record and not hit publish until much later. I can only see a couple of options to write everything down. Document no matter the writing. Hold off publishing until it’s ready. Or publish less frequently but make it good. What do you think? Dave, tons of great points and reasons to record those travel memories … they definitely do fade – but as you’d stated thanks to images and words they return to be relived and enjoyed … for years to come … (Unfortunately, I’ve been lazy the last 10 years and relied upon audiotapes and later MP3 diary – meaning a mass of messy listening and editing awaits me … one day). And I must add: yeah, a pleasure meeting you and the other cool, unique, intense-travellers out there, which was made been possible, via blogging. Cheers Michael. Good luck with all those MP3 recordings. I tried but it was too difficult. I think there’s some speech to text software that “might” help? Making it private is something I never knew. I thought everything you publish online goes around the world? It’s very easy to make a blog private. You can either publish it with a password. Tell google or other search engines not to index it. Or publish to a protect site meaning no one can see it. Lot’s more in the travel website guides via the newsletter. Hey Dave… nice in-depth article. Particularly timely for me, as I finally started my long term journey today. You are like a fountain of wisdom dude, I never miss a post. I hope I can maintain a level of quality similar to yourself! Nate. Congrats Nate! It’s not easy to do it being honest. A routine helps. Write ahead etc. New challenges await you. Looking forward to reading the results! Now you’ve got me. After I went away last time I never kept a record. Now I regret it. I have memories but no details. Start writing those memories down now. Before they too slink away! I have been saying this over and over to many in the travel blogging sphere during the past couple of years. To all the young ones out there, either on or about to take your grand adventure. Whether it be via a blog, facebook, a diary or journal or even through recorded journals as Michael has pointed to above. You need to document as much as possible, for you will begin to forget a vast quantity of what you have done. Another great reviver of memoires is to take photographs and I’m not just talking about your picture postcard shots either. Just you basic snapshots of places you’ve stayed and people you’ve met. I think travel blogs are a great tool for this, but people need to focus on why they are actually doing it. Nail on the head Jason. Much like you I’ve seen travel blogs come and go over the years. The best one’s have always been the ones that stuck to writing about their travels. The ones that fade away are the one’s that went into the commercial side of things. You can have both, but the way some people go about it things just end up being for profit rather than to actually record one’s travels in a place. This is true and also makes me sad. That’s all. I’d like to add that this is not just for full time long term travelers. I no longer travel long term, but I still document every trip for myself, my family and friend, and to share with people who like to travel like I do. It’s an easy way to reference specifics when I’m trying to tell someone what I recommend to see in a place or where to eat. It’s also settled many an argument based on faulty memory between my husband and myself! Totally agree Kristina. A travel blog is not just for long term travelers it can be for short term travelers to record their journeys too. I laughed when you mentioned it could also be used as a way to settle memory arguments between you and your husband :) That might just be the most unique and practical point to add I’ve come across in a while! You’re right. If I don’t then I’ll just keep forgetting those little things. example; I know Nepal better (i think) from you than from what I’ve learned in geography class/reading etc. I tried to write a blog before, but failed due to my inconsistency. Pathetic. Congratulations on your blog. I’m glad this post was helpful to you.